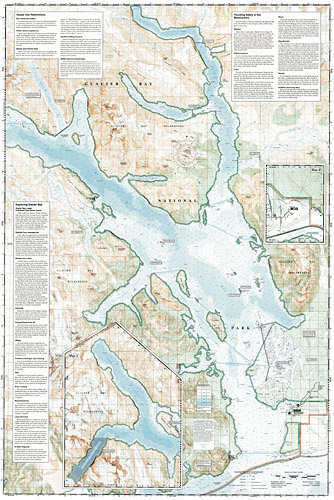 Glacier Bay National Park Map [ti255] - $9.95 : Trail Explorers Outpost, Keeping the Adventure Alive! This Trails Illustrated map for Glacier Bay National Park, Glacier Bay National Preserve, and surrounding area and surrounding area in Alaska's panhandle is perfect for hiking, camping, boating, paddling, and wildlife viewing in this scenic, rugged frontier. This Trails Illustrated map for Glacier Bay National Park, Glacier Bay National Preserve, and surrounding area and surrounding area in Alaska's panhandle is perfect for hiking, camping, boating, paddling, and wildlife viewing in this scenic, rugged frontier. This two-sided map includes Glacier Bay National Park, Glacier Bay National Preserve, Glacier Bay Wilderness, portions of Tongass National Forest, Chicagof Island, Endicott River Wilderness, Haines State Forest and Resource Management Area, Chilkat State Park, Chilkat Islands, Sullivan Island State Marine Park, Pleasant Island, Lemesurier Island, Inian Islands, and Tatshenshini Alsek Park. Waterways include the Gulf of Alaska, Glacier Bay, Cross Sound, Icy Strait, Lynn Canal, Geikie Inlet, Muir Inlet, Tarr Inlet, Jophns Hopkins Inlet, Tituya Bay, Taylor Bay, North Passage, Berners Bay, Chilkoot Inlet, Chilkat Inlet, Wachusett Inlet, Queen Inlet, Rendu Inlet, Tidal Bay, Scidmore Bay, and more. Water depths for Glacier Bay and its inlets are also shown. 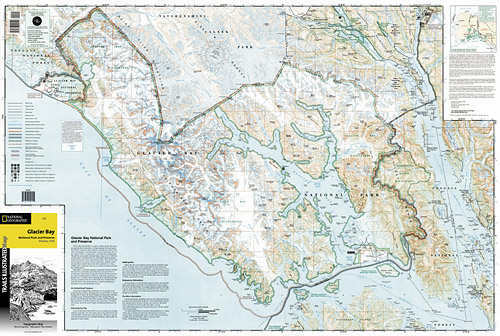 The map has detailed insets of Gustavus, Tarr Inlet and Johns Hopkins Inlet, and Lamplugh Glacier. Natural features include the Fairweather Range, Brady Glacier, St. Elias Mountains, Takhins Mountains, Chilkat Range, Carroll Glacier, Riggs Glacioer, McBride Glacier, and more. Includes UTM tick marks for use with your GPS unit..
MSRP: $11.95 Trail Explorers Price $10.45!